In English criminal law, attainder or attinctura was the metaphorical "stain" or "corruption of blood" which arose from being condemned for a serious capital crime (felony or treason). It entailed losing not only one's life, property and hereditary titles, but typically also the right to pass them on to one's heirs. Both men and women condemned of capital crimes could be attainted. Attainder by confession resulted from a guilty plea at the bar before judges or before the coroner in sanctuary. Attainder by verdict resulted from conviction by jury. Attainder by process resulted from a legislative act outlawing a fugitive. The last form is obsolete in England (and prohibited in the United States), and the other forms have been abolished. Medieval and Renaissance English monarchs used acts of attainder to deprive nobles of their lands and often their lives. Once attainted, the descendants of the noble could no longer inherit his lands or income. Attainder essentially amounted to the legal death of the attainted's family. Monarchs typically used attainders against political enemies and those who posed potential threats to the king's position and security. The attainder eliminated any advantage the noble would have in a court of law; nobles were exempt from many of the techniques used to try commoners, including torture. Likewise, in many cases of attainder, the king could coerce the parliament into approving the attainder and there would be a lower or non-existent burden of proof (evidence) than there would be in court. Prior to the Tudors, most rulers reversed their attainders in return for promises of loyalty. For example, Henry VI reversed all 21 attainders, Edward IV 86 of 120, and Richard III 99 of 100. However, this changed with Henry VII, as described below. Margaret of Anjou: her attainder of Richard of York compelled him to invade England and attempt to seize the throne after the Battle of Northampton, which led to the penultimate phases of the War of the Roses. Edward IV of England: used attainder after killing his brother, George Plantagenet, Duke of Clarence for high treason. This allowed Richard III of England to seize the throne when he claimed that Edward IV's sons were illegitimate. Henry VII: initially attainted men after he ascended the throne. He used the threat of attainder as a means to keep the few nobles who survived the War of the Roses in line. Often, however, he would penalize them with exorbitant fees and fines, or force them to have bonds which would be forfeit unless they exhibited good behaviour (his goal was to reduce the number of nobles with private armies of retainers.) Henry VII attainted 138 men, of whom he reversed only 46 attainders, and some of these were conditional. Anne Boleyn: Before her execution, she was stripped of her title, and her marriage was annulled. Catherine Howard: Henry VIII had an Act of Attainder passed against Catherine Howard, which made it treason for a woman with an unchaste reputation to marry the king. Edward Stafford, Duke of Buckingham, one of the wealthiest magnates in England, whom Henry had executed on flimsy charges in 1521. Margaret Pole, Countess of Salisbury: One of the last surviving noble Plantagenets of senior line. 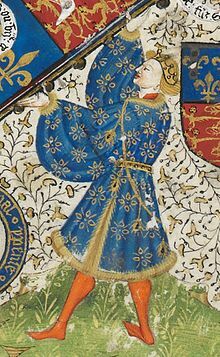 Henry Howard, Earl of Surrey: The poet son of Thomas Howard, 3rd Duke of Norfolk. Charles I: subsequent to the failed impeachment of his former Lord Deputy of Ireland, Sir Thomas Wentworth, 1st Earl of Strafford, was attainted during the political crisis of 1640 -1641. The Bill of Attainder, having passed the depleted House of Commons and House of Lords, was enacted by Charles I as a concession to his political opponents. During his reign, the Long Parliament of 1641 passed an Act of Attainder against William Laud, Archbishop of Canterbury who was beheaded in 1645. Charles II: Although deceased by the time of the Restoration, the regicides John Bradshaw, Oliver Cromwell, Henry Ireton and Thomas Pride were served with a Bill of Attainder on 15 May 1660 backdated to 1 January 1649 (NS). Once attainted, nobles were considered commoners, and as such, could be subjected to the same treatments, including torture and methods of execution. For example, commoners could be burned at the stake, whereas nobles could not. Often, nobles would refer to the act of being attainted (and then executed) as the person's "destruction". A rumour circulated that a bill of attainder against Thomas Jefferson occurred in 1774 because of his authorship of A Summary View of the Rights of British America. A bill of attainder was last passed in Britain in 1798, against Lord Edward FitzGerald. Attainders by confession, verdict and process were abolished in the United Kingdom by the Forfeiture Act 1870 (33 & 34 Vict., c.23). Section 9 of Article One of the United States Constitution provides that no bill of attainder or ex post facto law shall be passed by Congress. The following section forbids states from passing them. ^ J. R. Landera1. "Cambridge Journals Online - Abstract". Journals.cambridge.org. Retrieved 2012-10-27. ^ "Attainder, Being Attainted, Attainder Reversed - Luminarium Encyclopedia". Luminarium.org. Retrieved 2012-10-27. ^ a b c "Domestic and foreign policy of Henry VII". History.wisc.edu. Archived from the original on 2011-09-27. Retrieved 2012-10-27. ^ Mike Mahoney. "Kings and Queens of England - Henry VIII". English Monarchs. Retrieved 2012-10-27. ^ "William III, 1701: An Act for the Attainder of the pretended Prince of Wales of High Treason". British History Online. Retrieved 2018-01-26. ^ U.S. Constitution, Art. I, Sec. 9, ¶ 3. ^ U.S. Constitution, Art. I, Sec. 10, ¶ 1. ^ U.S. Constitution, Art. III, Sec. 3, ¶ 2.